We are excited to share this opportunity with K-12 teachers! Bring your teaching skills into your schoolyard, neighborhood and beyond! 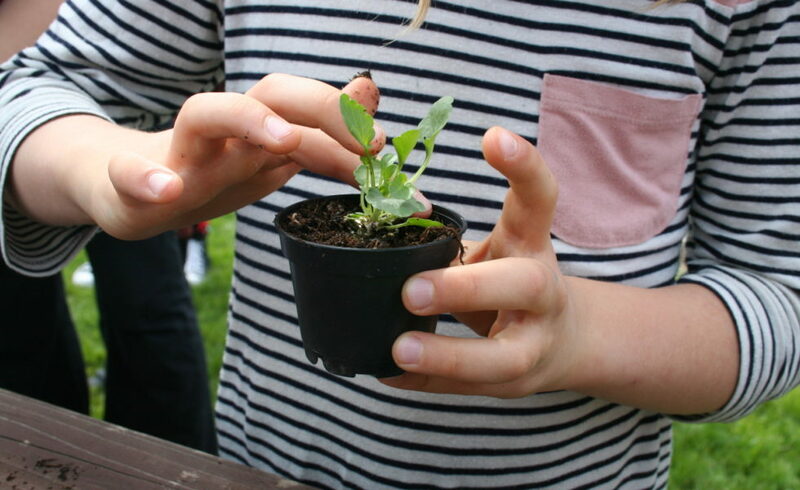 The 4-part training series will provide you with deeper understanding of climate science, demystify Next Generation Science Standards, introduce Indigenous Ways of Knowing and help gain confidence to bring your students outdoors. This professional development opportunity brings the expertise of six local organizations to you in one place. 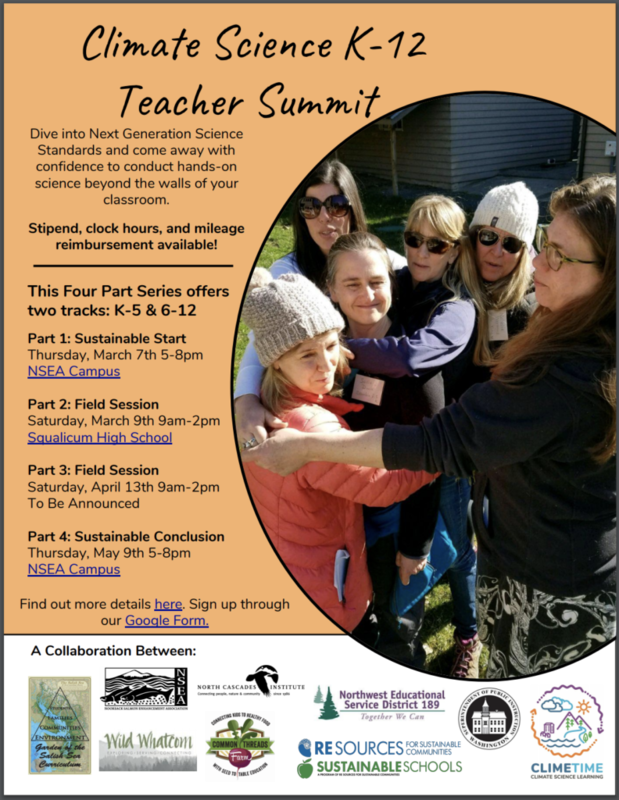 Open to teachers in Whatcom and Skagit counties. Accrue 15 STEM clock hours, mileage and cash stipend. Here is the sign-up through a Google Form. Please sign up by February 1st.